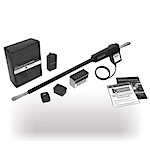 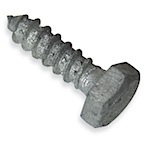 National Metal Industries stocks an assortment of parts and hardware for Metal Fences. 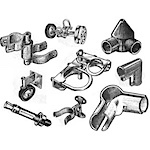 Aluminum Rail End, Brace Rail End, Gate Collar, Corner Boulevard, End Boulevard, Gate Clips, Gate Collars, Gate Corners, Kee Klamp Fittings, Line Boulevards, Rail Ends, Sleeves, and Steel Rail Ends. 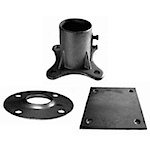 Speed Rail slip-on pipe fittings for display, railing, and rack assemby. 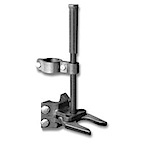 Auto Latch, Cantilever Gate Latches, Drop Rods, Fork Latches, Fulcrum Latches, Gate Collar, Kennel Latches, Locking Devices, Magna Latches, Spring Latches, and Wall Mounts. 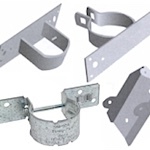 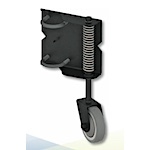 Frame Hinges, Gate Holdbacks, Offset Hinges, Post Hinges, Self-closers, and Sta-Klos. 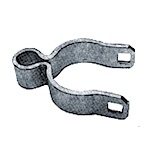 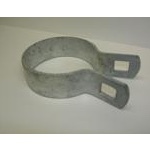 Brace Bands, Fiberglass Tension Bars, Steel Tension Bars, and Tension Bands. 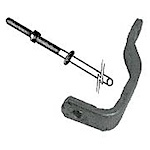 Lag Bolts, Post Bolts, Splice Bolts, All Different Size Nuts and Bolts. 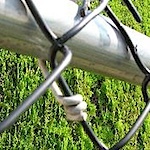 All Types Of Fence Ties, Coil Wire, Double Wrap Temp Ties, Fence Staples, Ground Stakes, Vinyl Coated Coil Wire, Vinyl & Regular Hog Rings, Kennel Klamps, Poultry Staples, Straight Wire, and Sump Hooks.